After fire ravages your home, fear and doubt about the future of your property can be overwhelming. It creates a stressful and potentially hazardous situation that you will want to address as fast as possible. That’s why SERVPRO of Manistee, Ludington and Cadillac has our highly trained technicians ready 24/7 to respond immediately whenever disaster happens. Fire damage is not limited to damage done by the actual flames. 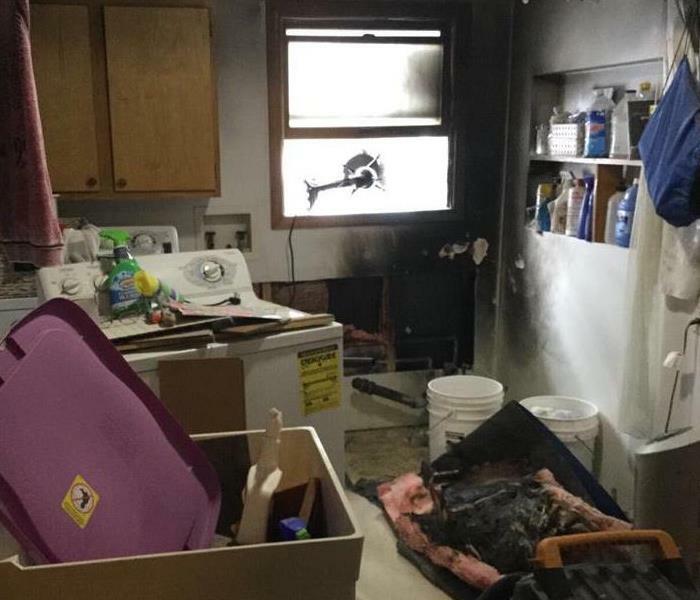 Once the flames have abated, in addition to fire, smoke, and soot damage, you may also suffer from water damage as a result of the firefighting efforts. Smoke and soot can cause both visible and hidden damage. This type of damage can be especially upsetting and destructive for your family to process. You may feel stressed, confused, and vulnerable, so you’ll need a caring expert to guide you through this crisis. We’ll treat you with respect and empathy, and we’ll always treat your home, business and belongings with care. Why Choose SERVPRO of Manistee, Ludington and Cadillac? SERVPRO of Manistee, Ludington and Cadillac is locally owned and operated, so we are part of this community too. When you have a smoke or fire damage emergency, we’re already nearby and ready to help. We take pride in being a part of the Ludington community and want to do our part in making it the best it can be.